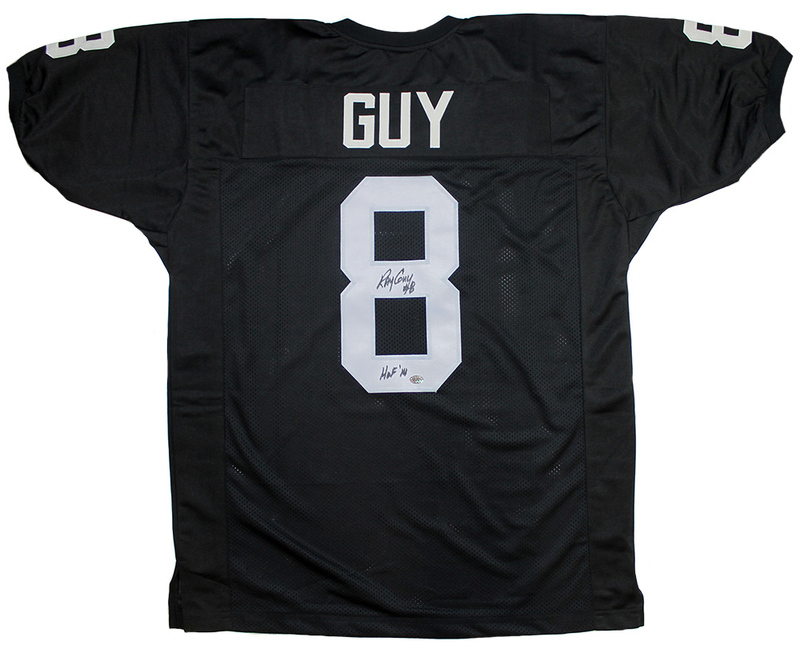 These custom black jerseys have been personally hand signed and inscribed "HOF 14" by Ray Guy. 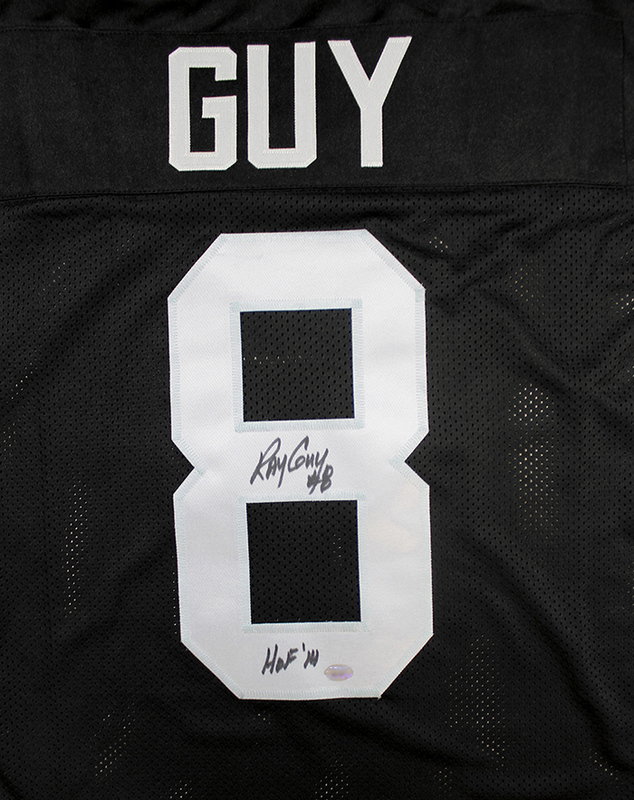 Each autographed jersey includes an individually numbered, tamper-evident TRISTAR Authentic hologram. 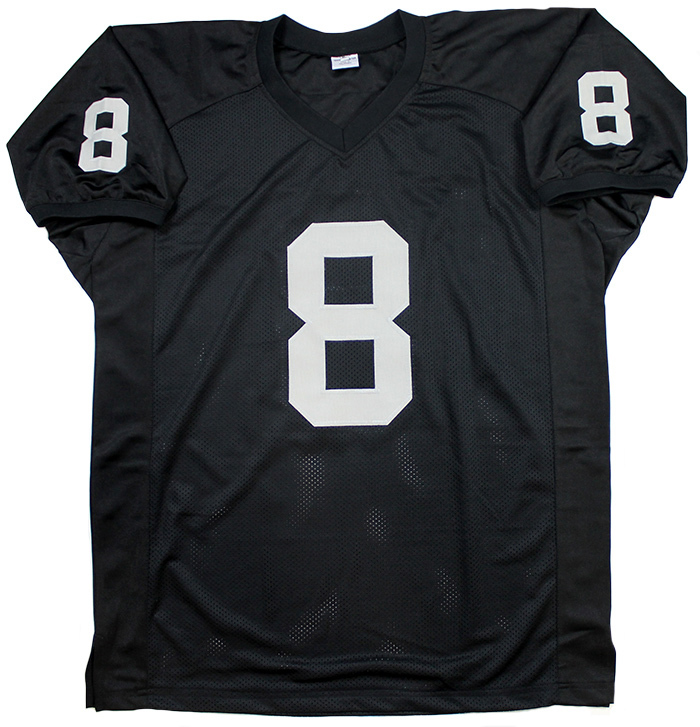 Q: Does this come in size 2x? A: We only have XL in stock.